Harrogate and Leeds based family law specialist, Jones Myers, is partnering with IDAS (Independent Domestic Abuse Services) to host a unique art installation highlighting domestic abuse against women. Marking the UN’s International Day for the Elimination of Violence against Women, the powerful and emotional display, ‘In Her Shoes’, features 100 pair of shoes which symbolically represent the 100 plus women who are killed every year in the UK by their current or ex-partners. A tribute to all women affected by domestic abuse, the installation has been created by visual artist Mim Robson. It features a poem by York poet Hannah Davies which has been inspired by the words of domestic abuse and sexual violence survivors. The display, which is free of charge to view, will be located at Windsor House, the Harrogate office of Jones Myers on Friday, from 11.30am-5pm. 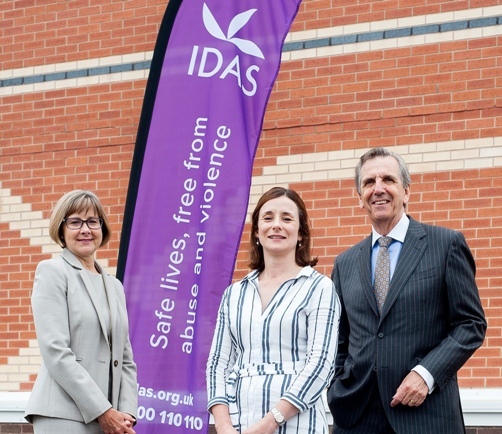 Rose Merritt, IDAS business development manager, said: “In Her Shoes is about raising awareness of the scale of domestic abuse by sharing the sad reality that 100 women die at the hand of their partner or ex-partner every year, a figure that is not decreasing. The art installation will be displayed across a series of towns across Yorkshire over the coming months.